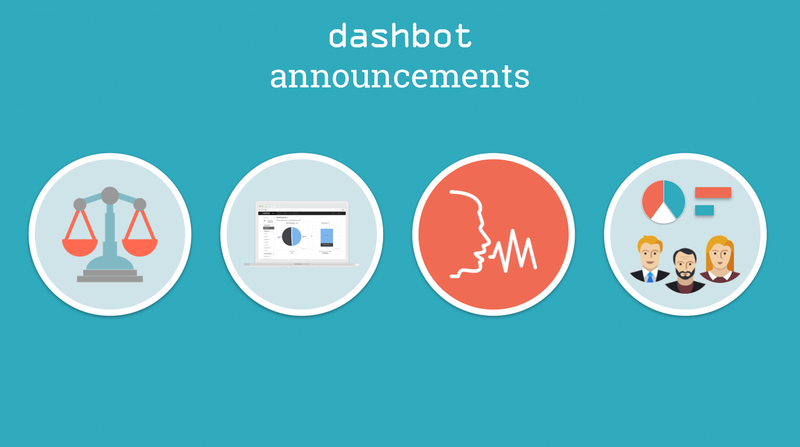 At Dashbot, we’re excited to announce a number of new product launches to enable customers to better understand their users and increase user acquisition, engagement, and retention. 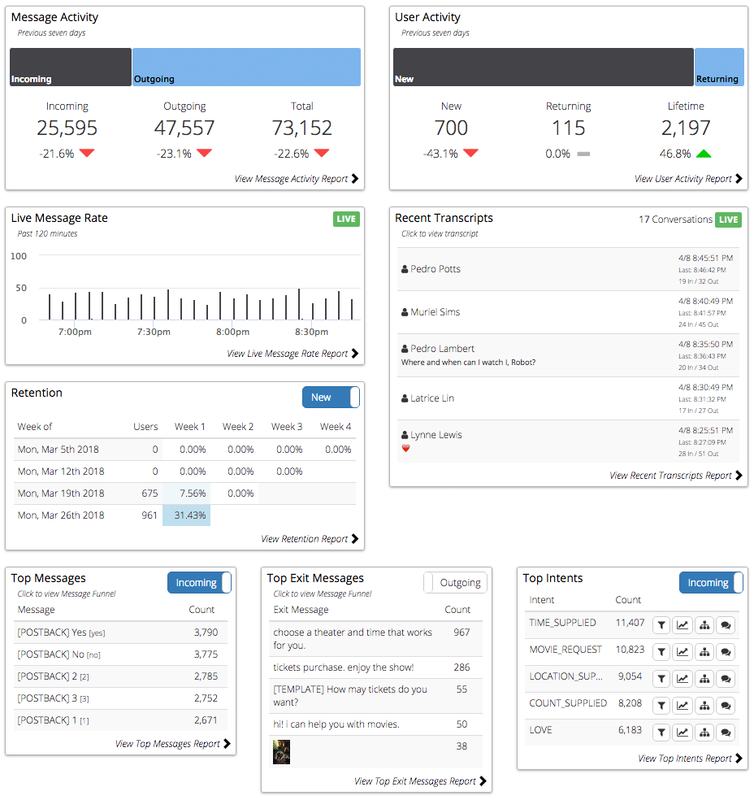 We updated our Dashboard to bubble up key metrics to the front in one view. You can quickly see top messages, intents, and exit messages on the dashboard and dive directly into the funnels to better understand user behavior. Retention, users, and messages are also readily available to quickly see how well your chatbot or voice skill is performing. 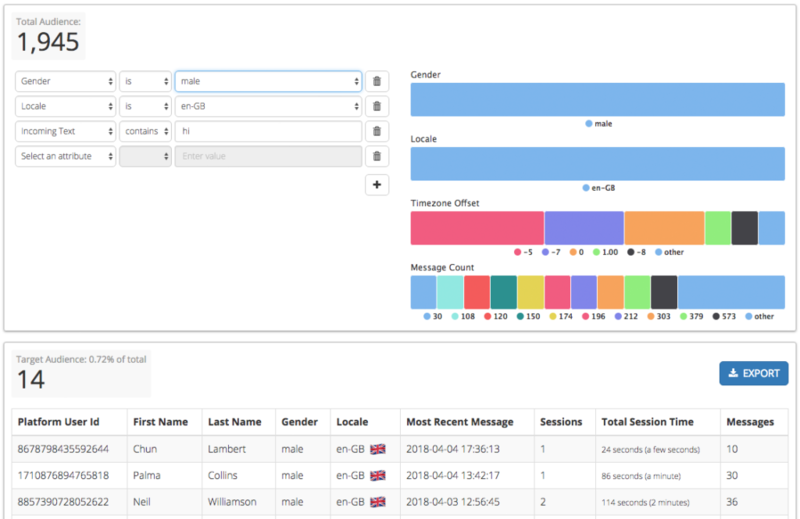 With our Audience Builder, you can segment your audience based on the data and behaviors to get better insights into who your key users really are. The results can be used to build look-a-like audiences for targeted user acquisition ads. Want to know how your chatbot or voice skill compares to others based on retention? 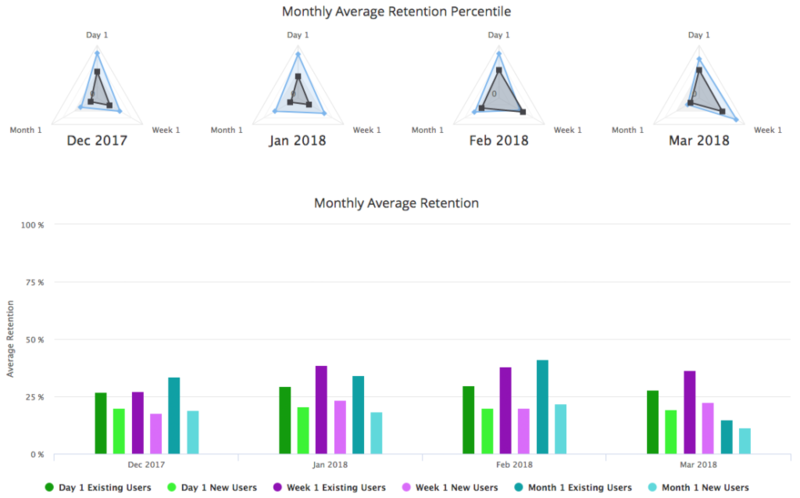 We updated our Market Metrics reports to include retention. In addition to comparing based on users and interactions, now you can compare your chatbot or voice skill on daily, weekly, and monthly retention. Does your voice skill make use of custom audio files? Dashbot can help you track session lengths including the audio length. 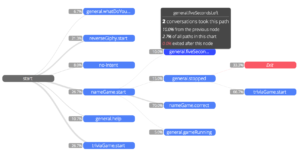 Having processed 30 billion messages, we continue to apply data science techniques for deeper, and actionable insights. Stay tuned for additional features around Natural Language Processing (NLP) and proactive suggestions and recommendations. 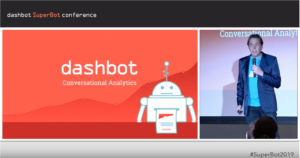 Dennis Yang, our co-founder and CPO, discusses the differences between traditional and conversational analytics as well as our new product announcements at Super Bot 2018. Sign up for Dashbot and get started tracking.